-----We came to the Connecticut River by cruising up from Long Island Sound. We reached the Sound by cruising down the Hudson River from the ramp in Kingston, NY. Therefore, we didn't use any ramps or campgrounds in Connecticut. -----The Ledyard Canoe Club has a traditional journey, following the 18th century trip by John Ledyard. 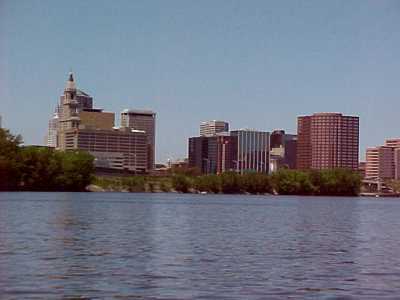 He paddled down the Connecticut River from Hanover, NH to the sea. Years ago, several of us club members decided to paddle the top end of the river. We set out on a lengthy trip from the Canadian border down the storied Connecticut to Hanover. It was a great adventure, and the telling only gets better through the years. 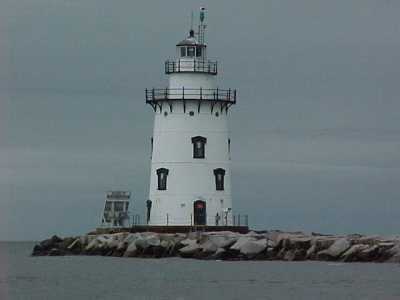 -----Now, El and I were on Halcyon along the Connecticut shore. Surveying the charts, the Connecticut River extended northward from the Sound like a beckoning finger. Here was our chance to follow Ledyard's path and let the twin Honda's do the 'paddling.' 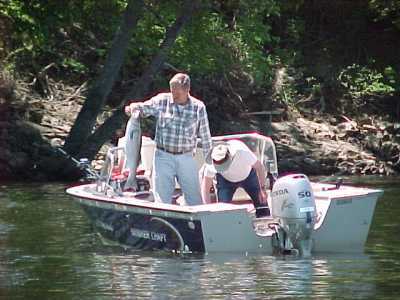 We asked our long-time friends and cruisers, Marty and Mel, if they would care to join us up the river. They agreed but only after a great dinner at the 'Griz' in Essex. 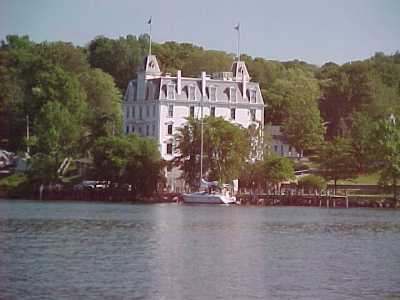 -----The cruise was a delightful experience through an historic region of charming homes and beautiful scenery. We tied off in Wethersfield for lunch -- El is right, New England cooking can be outstanding!